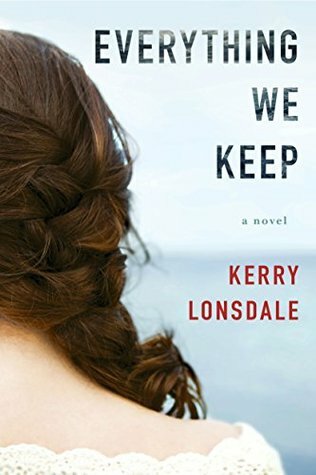 A luminous début with unexpected twists, Everything We Keep explores the devastation of loss, the euphoria of finding love again, and the pulse-racing repercussions of discovering the truth about the ones we hold dear and the lengths they will go to protect us. This is another book that I really don’t know how to write a review for it. While I didn’t love Everything We Keep, I didn’t hate it either. I hate it when I really have no feelings for books that I review. It makes writing the review so hard but I will give it my best shot here. I did enjoy reading Everything We Keep. I thought that while the plot line was unoriginal, it did keep your attention to the story with James death/disappearance. Also, Aimee’s storyline did keep my attention but not in a good way. Aimee was a mess the first couple of chapters in the book, which is understandable. The love of her life was gone and he was buried on what was going to be her wedding day. It had been horrible. But, as other people slowly accepted that James was gone, Aimee didn’t. Instead, with the prodding of a psychic investigator who showed up at the weirdest times, she became obsessed with finding James. I just couldn’t like Aimee or feel bad for her after a certain point in the book. I get that a very bad thing happened to her but that is life (and yes, I sound harsh but I have been there, done that). But, I did admire her tenacity in finding James and guess what, I really thought the same way her friends did. She needed to get over him. I mean, she caught the eye of Ian, who was a saint in my eyes, and she kept on insisting to him and everyone else that James was alive. If I was Ian, I would have dropped her like a hot potato. But, he stuck around. Love does funny things. Now, I kinda figured out Mexico before it was revealed in the book. Didn’t take away anything from me and it did give Aimee closure. I just wish that it was done sooner, way sooner. Because the book was kind of drawn out. The end of the book was pretty typical and I loved that there was a chapter from Everything We Left Behind included. I can’t wait to read James’s story! !